"Wheels" provides bus and paratransit services throughout the Cities of Dublin, Pleasanton, Livemore, and portions of unincorporated Alameda County. Please visit the Wheels website for more information. For a limited time, Wheels will pay half of your fare (up to $5) for rideshare trips that start AND end IN Dublin on UBER, Lyft, and Desoto Cab Company. Simply apply for the promo code GODUBLIN, then select uberPOOL, Lyft Line or Desoto Share as your mode choice and you are on your way! For more information go to Go Dublin. Scoop currently matches carpoolers who work in various locations from home locations throughout the Bay Area. Enter your trip information by 9 p.m. the night before your morning commute, and 3:30 p.m. for your afternoon commute. Scoop automatically provides you with your match and trip itinerary. Register with Promo Code SCOOPME05 for a free first trip. Take Scoop to BART and get guaranteed parking at the Concord, Dublin/Pleasanton, Millbrae, Orinda, Pleasant Hill, Rockridge, San Bruno, and Union City stations. Find out more here! With Waze Carpool you choose who you carpool with based on detailed profiles, star ratings, and connections — shared interests, same workplace, and more — as well as price and distance off route. Use code 511WAZE for a free ride! Learn more at waze.com/carpool. 511 RideMatch Service is an interactive system that helps you find carpools, vanpools or bicycle partners. Track your trips in the 511 Trip Diary and be eligible to win prizes. Watch this video explanation of how the Trip Diary works. Discounts on tolls and nifty rewards from 511 and local county agencies all just for doing what you already do! Carpool whenever you need and pay through the Carzac App. Enter SPAREAIR05 for $5 in free rides! Visit the Carzac website to learn more. The Ride Now! Carpool Program provides carpool matching services for commuters. Please visit the Ride Now! website for more information. 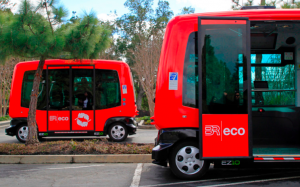 The Livermore Amador Valley Transit Authority (LAVTA) is exploring an innovative shared autonomous vehicle demonstration project within the City of Dublin in collaboration with the City of Dublin, Contra Costa Transit Authority, Stantec, and the GoMentum Station in Concord California. The goal is to creating a mode shift from single occupant vehicles to transit to decrease congestion and improve the environment.